We only heard from one fan (and contributor) about missing last week’s portrait. We apologize, of course, and are here for two portraits this week. The first is just straight up gross. 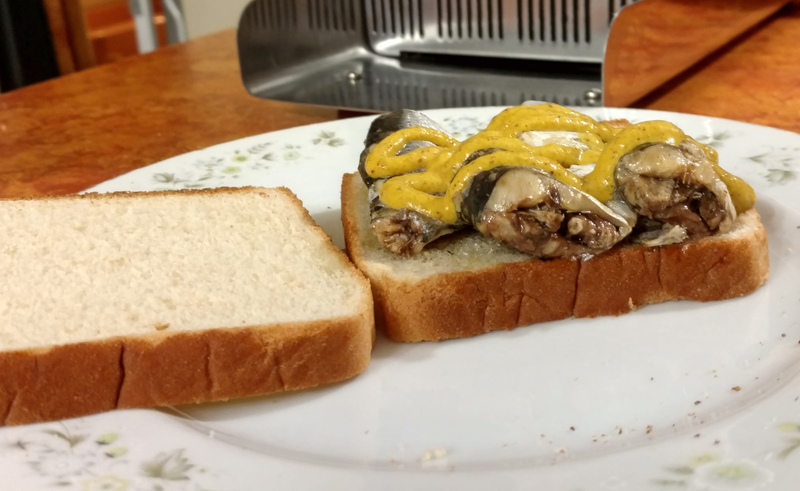 Though you may enjoy the wet softness of sardines, most people don’t. Even the spicy brown mustard is probably not enough to save you. But we don’t just celebrate the beautiful things. There’s art in the unfortunate, and that’s what our guest photographer captured on the fresh palette of white bread. We can’t recommend you go out and make your own, but the choice is yours.